According to the Roman poet Horace, the liver is the seat of the passions, particularly sensual love and anger. According to Suetonius, it is the center of the intelligence of the mind. The brain, heart, and lungs are always described as essential to the body’s health. But, without the liver, the physical body could not operate. Although many doctors and researchers have noted that emotion and belief systems play a part, perhaps a major part, in health and illness, Western medicine is just beginning to consider such non-physiological factors in the treatment of disease. Emotion, beliefs, and other non-physical qualities, such as creativity, intuition, and wisdom, originate in the dynamic chaos of the energy field, the aura, the vital life energy that surrounds and permeates each physical body. Each energy field constantly interacts with the fields of other living beings and with stimuli in the environment. Everything that affects the body must first pass through this field. Some of the information contained in the field enters our awareness via our senses, thoughts, or intuition. Much of the information, however, remains hidden, affecting the choices we make and our physiology. Wherever thought goes, energy and life force follow. The liver is one of the largest organs in the body, yet it gets very little respect. If you place your right hand over the area under the ribs on the right side of your body it will just about cover the area of your liver. The liver is the largest gland, and the largest solid organ in the body, weighing some 1.8 kgs in men and 1.3 kgs in women. It holds approximately 13% (about one pint or 0.57 litres) of your total blood supply at any given moment and is estimated to have over 500 functions. The most amazing thing about the liver is that the liver can regenerate itself. If a person has two thirds of their liver removed through trauma or surgery, it will grow back to the original size within four weeks. This has great spiritual significance. The soul or mind also has great regenerative power. In order for the body to continue to live, it needs food to provide energy, repair itself, reproduce, and grow. Now the digestion system is designed to perform this function. Its purpose is to extract the essence from the food that we eat and discard the indigestible part as waste. Most of the food’s digestion and absorption of the essence takes place in the small intestine, which is the largest part of the digestive tube. Now the essence or nutrients of food, after being broken down, are absorbed directly into the circulatory system or blood stream. However, before the blood can return to the heart, it passes though the liver. A brief examination of the liver’s structure is needed to fully understand its link between the digestive system and the circulatory system. Without a liver, food would be not broken, various chemicals would not be made for the body, the body’s energy would not be stored, nor would the blood be filtered. The liver represents a principle that operates on the physical level, mental or psychological level and spiritual level. According to Taoist tradition, positive and negative emotions are stored in the corresponding main organs. The heart radiates love and joy or hatred and arrogance. Kidneys reflect calmness and gentleness but when the kidneys are weakened then fear and depression deposit in them. Courage and righteousness belong to the lungs, which are weakened by sadness and grief. Kindness and generosity belong to the liver whose negative emotions are anger and frustration. Positive emotions of the spleen are fairness and openness, while the negative ones are anxiety and worry. When we experience energy from certain negative emotions for a longer period of time, it leads to a change of vibration characteristics of the individual organs and the entire organism. On the physical level it can manifest itself by a weakening or illness of not only the organ but also of the body system linked to it. Positive emotions deposited in our main organs serve as an essence that nourishes our souls. Relaxation, detoxification and strengthening of organs lead to changes on all human levels. The practical part of emotions is made up of two levels. On the first level we learn to perceive emotional energies of organs and harmonize them. The practical part is performed with the help of symbols. A specific symbol serves as an accelerator for installing a respective positive emotional state. Love, compassion, forgiveness are also powerful healing forces. Many doctors are aware that spiritual, mental, and emotional factors play a major role in illness and health; but, their training has emphasized the physical, and they often feel at a loss as to how to address the spirit. Many of us are aware of energy circuits in the form of emotional ties and bonding to other human beings and to pets. We are less aware of how much energy we spend on past injuries, regrets, and losses. The thoughts that occupy one’s mind indicate where energy is flowing. When thoughts contain an underlying fear of loss or over-identification with an object or person, energy is being lost. At an external level one of the most obvious and palpable differences between Islamic and Western civilizations is that alcohol is prohibited in Islamic society while it is widely available and culturally acceptable in the West. This seems an irreconcilable difference, a matter about which there can be no rapprochement between the two civilizations and the two faiths, a point on which Islamic and occidental opinions seem diametrically opposed and on which there is no common ground. It is important, therefore, to explore this divisive issue and to bring to it deeper, more universal perspectives, to rediscover and then to reiterate points of view and modes of understanding that have been lost and forgotten in our troubled and superficial times. As is the case with so many other issues that create Islam/West tensions the contrasts turn out to be not so stark, and at the deepest levels, in view of perennial and universal truths, they cease to be contrasts at all. In modern times we might still appreciate wine as a spiritual symbol but any spiritual significance of the liver – hepato – the organ that metabolizes alcohol and purifies blood, is entirely lost to us. 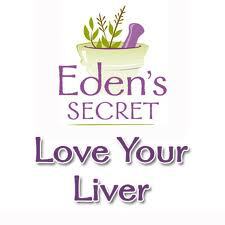 Modern industrial medicine knows the liver as a murky swamp of catalysts and compounds, or sentimentally as the body’s “wonderful chemical factory”, but we no longer have the slightest idea why ancient and even neolithic man regarded the liver as the seat of the soul. In traditional accounts, the liver is regarded as the very seat of anima and, more importantly for our present purposes, as the organ of revelation, an internal spiritual “mirror”. Our ancestors gave to this organ the exalted role of “portal of dreams”, “seat of divination” and “eye of revelation.” Let us recall that hepatomancy – divination by an examination of the liver of a sacrificed animal – was almost as widespread as astrology in the ancient world. But modern man has not the slightest clue what all of this attention to the liver might be about nor the slightest inkling that the religious mysteries of wine are connected to it. It is necessary that we spell it out. Islamic practices are even more calculated even though they do not involve actual physical wine. The whole secret of the Islamic mode of fasting is that it reverses the cycles of the liver, and that this is akin to reversing the cycles of night and day, sleeping and waking. As the fasting Muslim goes about his business during the day, their liver is triggered into its active mode because no food or drink has been ingested for hours. Normally, this occurs during sleep. During fasting it occurs while awake. The point of this is to bring the inner and outer eyes into alignment, into a common focus upon the Reality that is inner and outer, subject and object, both. Usually the inner eye opens when we sleep, but Islamic fasting reorders these cycles so that the inner eye is open while the Muslim is awake and conscious. Thus the Muslim has the experience of being fully awake while his body, so to speak, is sleeping. He is effectively conscious in sleep. The conscious mind and the dreaming mind are both awake at once. There are dimensions to these religious traditions where we find that there is, in fact, a common platform and a convergence of doctrines, symbols and methods, and that what appears to be a contrast is really a complimentarity beyond their differences, the two religions are rooted in common mysteries and have overlapping paradigms. The other crucial thing to know about the liver is that, in traditional understandings, it is not just a filter in the body’s drainage system but is a sense organ comparable to an inner eye. Traditional thinking, in fact, regards the liver and the eye as akin and connected. The eye is the other organ that has a day/night cycle. It opens and shuts with waking and sleeping in parallel, or rather counter to, the cycles of the liver. In the alternations of night and day, when the outer eye is open the inner eye is shut, and when the outer eye is shut the inner eye is open. The liver is the eye of dreams, the seat of inward vision, an inner mirror. As well, the finely knit, dense, shiny texture of the liver is remarkably similar to that of the eyeball. The connection is obvious in cases of liver disease which manifests as a yellowing of the whites of the eye. We might also recall, in our present context, that alcoholism produces blindness and that we commonly refer to someone being “blind drunk”. The liver is an organ of vision, but it is the vision of our dreams, not our waking life. There is also a common gesture found in Islamic devotion that acts upon the liver, though no one understands it as such anymore. When the worshipper sits up from placing his forehead to the earth in the canonical prayers, and he sinks backwards upon his heels, placing his hands upon his thighs, it is sunna to fold the right foot in a peculiar manner that leaves the toes facing towards the qibla (Mecca). To achieve this the body must lean rightwards somewhat, stretching the left side of the torso but compacting and placing pressure upon the right side. It looks an odd and uncomfortable position to non-Muslims, and seems an unnaturally yogic contortion of the legs that makes sitting contrived and has no significance other than it is said to be how the Holy Prophet arranged his feet and legs at that juncture in the prayer. This sitting position is very obviously designed to reposition and push upon the liver. We can stand at the rear of any mosque and watch it. To place the legs and feet in this way exerts a mild pressure upon the liver. It is almost a massaging of the liver done by titling the torso rightwards. If we still understood why the liver is the “eye of dreams” and thought of it as something more than a filter in a drain, we would recognize this fact immediately; this position in the canonical prayers is undoubtedly designed to have a directly physical effect upon the liver, the organ of dualities. I’m sure all this is not convincing anyone to barter the heart for the liver. I don’t expect anyone would be sending a Valentines card with a drawing of the liver instead of the heart. The merchandising possibilities do not look attractive— jaundice yellow instead of the signature red, and instead of Cupid shooting arrows into a heart, a witch or sorcerer digging in for the liver? We have come to fancy the simpler, softer, sanitary imagery of the heart. Yet, turning away from the more darkly visceral symbolism of the liver, we may have missed out on the denser, earthier, more dangerous and labyrinthine qualities of love. This entry was posted in Uncategorized and tagged Blood, Conditions and Diseases, consciousness, Digestive Disorders, Emotion, energy, enlightenment, healing, health, Islamic Medicine, learn, Life force, Liver, medicine, mysticism, Roman, Symptom. Bookmark the permalink.